Jobs site Monster.co.uk is seeking to celebrate millennials as "masters of the universe" in a campaign to cut through the "dull" advertising of its rivals. It is Monster’s biggest brand campaign for seven years and hopes to break down career barriers facing young people and live up to its ‘find better’ strapline. The company's vice president of marketing, Andrew Warner, said: "Rather than treating those early in their careers as victims we are going to treat them as the future masters of the universe. "Most the advertising in the category is pretty dull and mundane and it is a fairly commoditised category." The campaign, created by Mcgarrybowen, will feature a heavyweight radio, outdoor and digital activity targeted at young people looking for their first or second jobs. Mcgarrybowen won the brand's European ad account after a competitive pitch earlier this year. It will be the first time Monster has used Snapchat "at scale" and the creative will introduce a Monster character, which will dramatise a demonstration of the company’s product. Monster is launching the multimillion pound campaign to support a major investment in its product offering, which includes a new web site and increasing the number of jobs on the site from 150,000 to half a million in 12 months. This huge increase has been achieved by signing up more blue chip clients such as Apple, Ferrari and Lloyds, alongside aggregating jobs from other websites. 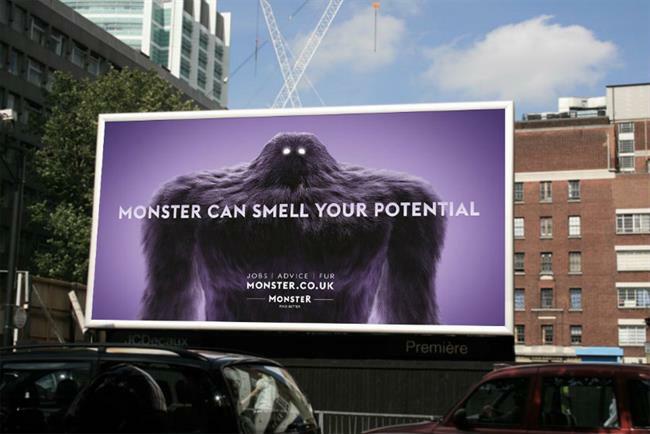 Monster has also invested in a new education portal with live chat advice and a ‘tech talent charter’ that hopes to increase diversity within technology by initiatives including working with recruiters to ensure job ads do not alienate candidates from disadvantaged backgrounds. Monster believes it is this tool that gives it a competitive edge over professional networks such as LinkedIn. Warner also argues it has an advantage over the closed LinkedIn network because it makes the most of the open web. This includes a social job ad product it has developed in collaboration with Twitter, which allows it to combine its CV database with Twitter’s data to target people seeking jobs in specialist fields. All the investment from Monster is seeking to show people it is more than an aggregator of classified ads and instead is a place that helps people "find better". Warner added: "We don’t see anyone else working to try to connect this audience with the right companies."